- Articles by leading organizations working on critical public issues such as hunger, obesity, the grocery gap, and the diminishing numbers of independent farms. - A resource guide of key organizations working in the diverse arenas that comprise community food security. 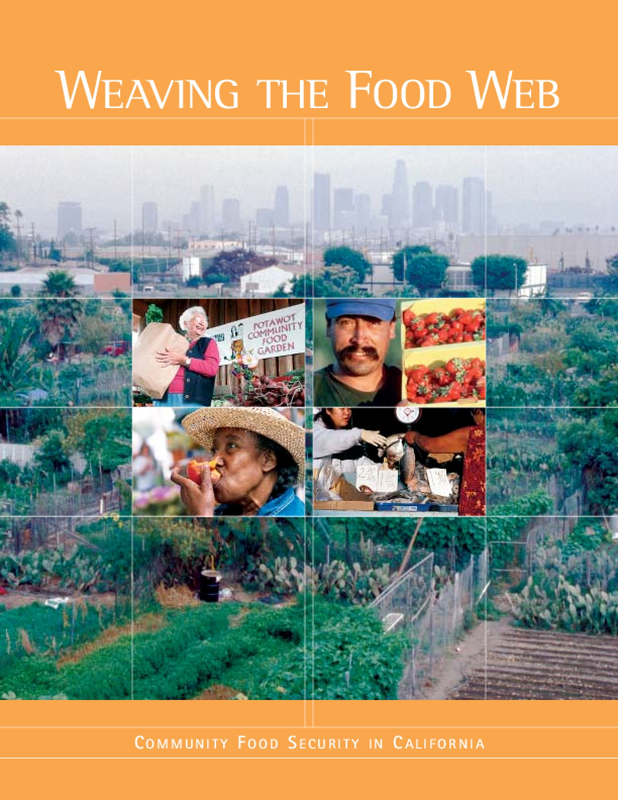 Weaving the Food Web is a valuable tool for educating your community members, public officials, and the media about community food security. It offers many points of entry to this growing field of work. As such, we invite your assistance in getting copies of the booklet into the hands of those would benefit from it. Copyright 2002 Community Food Security Coalition. All rights reserved.